“Fannie.” Real photo postcard, between 1907 and 1914. U.S.A., photographer unknown. Spring is here, and dogs everywhere are enjoying the sun on their fur and the air in their snouts. Sometimes real photo postcards just speak for themselves, even if they contain little or no additional information. These two images show well-cared-for, senior dogs enjoying the outdoors. 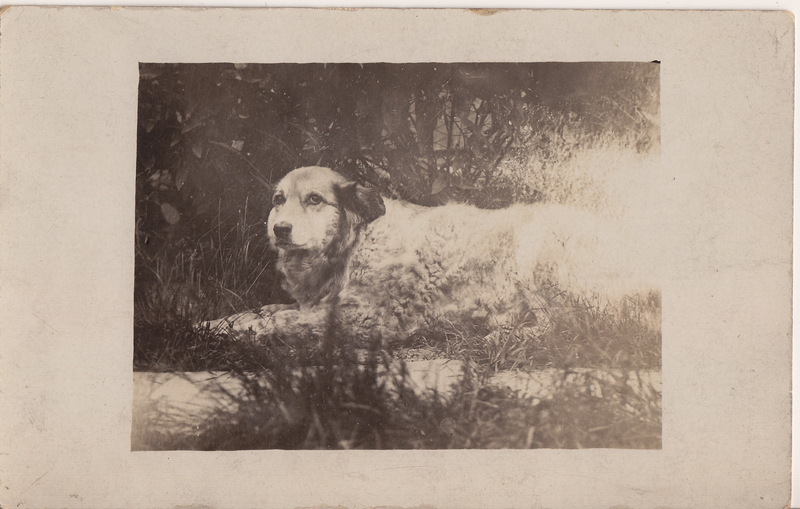 The old gentleman in this first image is unidentified, but the second one is labelled “Fannie” on the back side. Fannie looks like a collie mix of some type. The old gentleman is a bit more mysterious. His ears have been clipped, which was usually done to bulldogs, but he has quote a prominent muzzle. Yet I don’t see much German Shepherd in there, either. (German shepherds were rare in the U.S. until after World War I.) If you have any thoughts on the breeding of this fellow, I’d be happy to read them. A dog enjoying the sunshine. 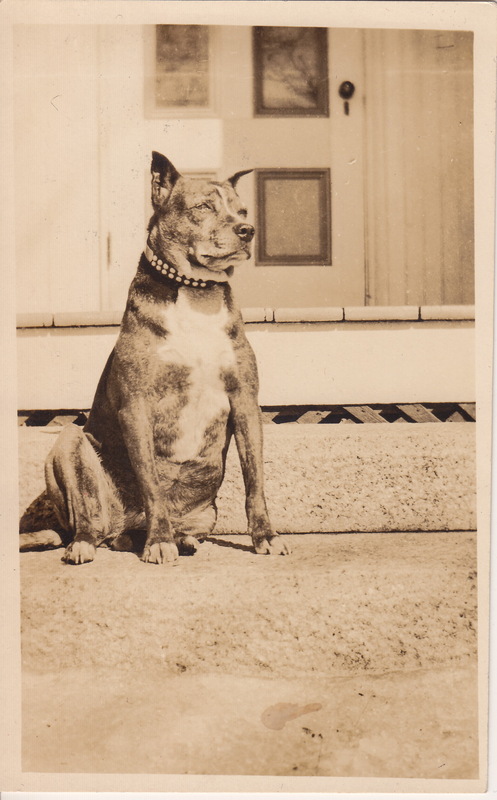 Real photo postcard, probably 1920s. Probably U.S.A., photographer unknown. Next Do you smell something funny?